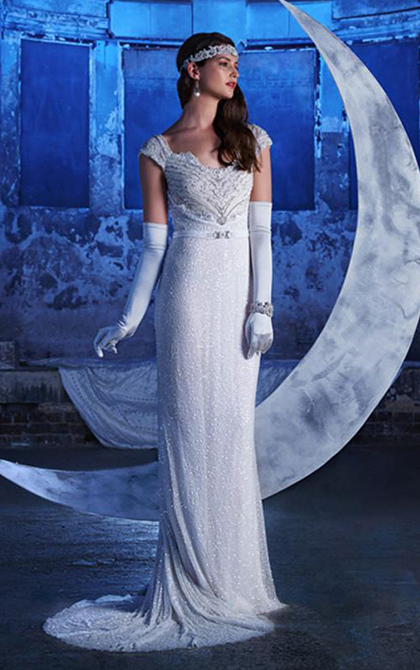 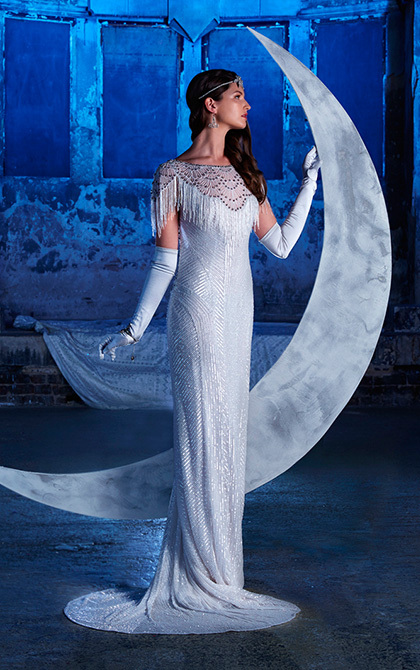 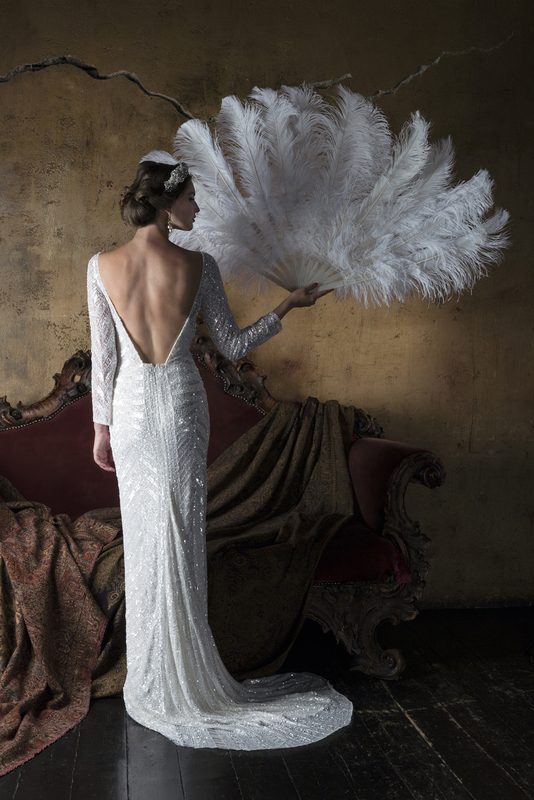 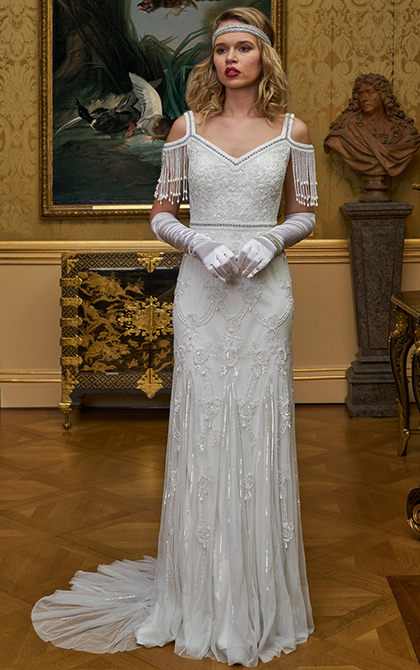 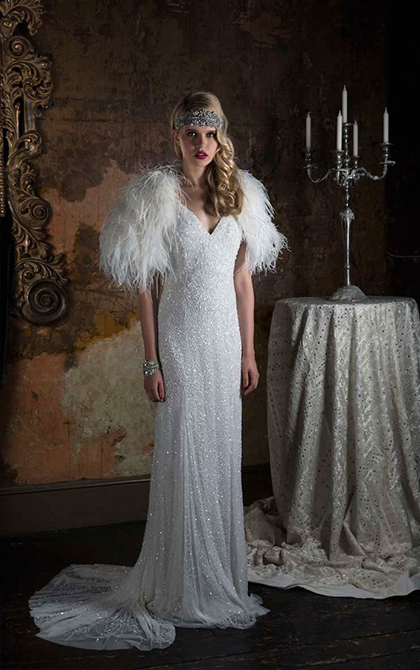 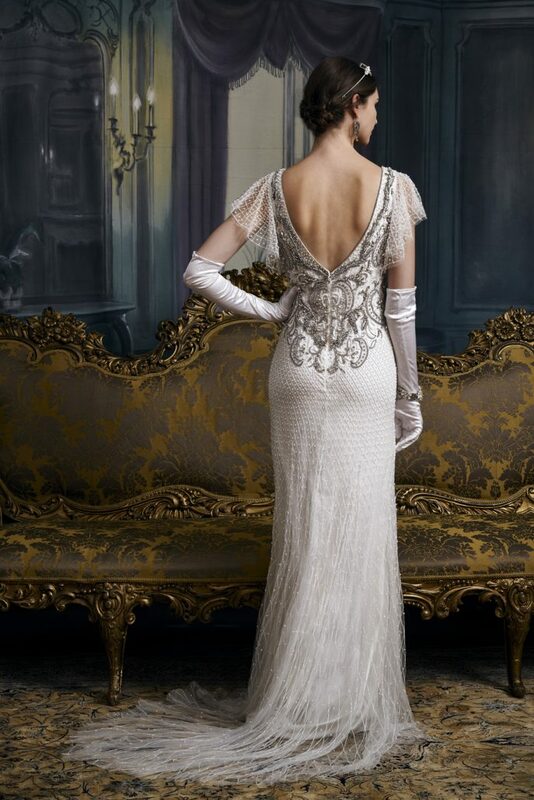 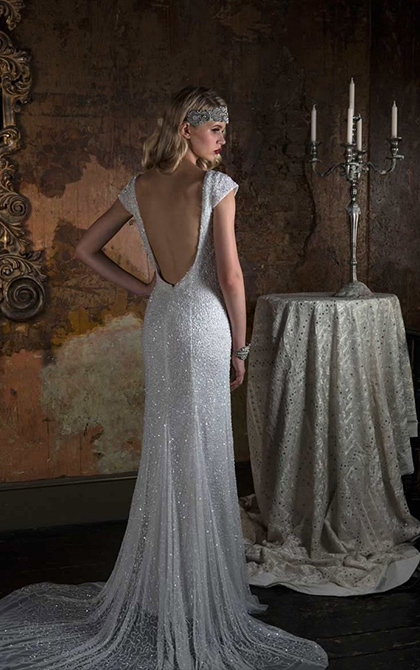 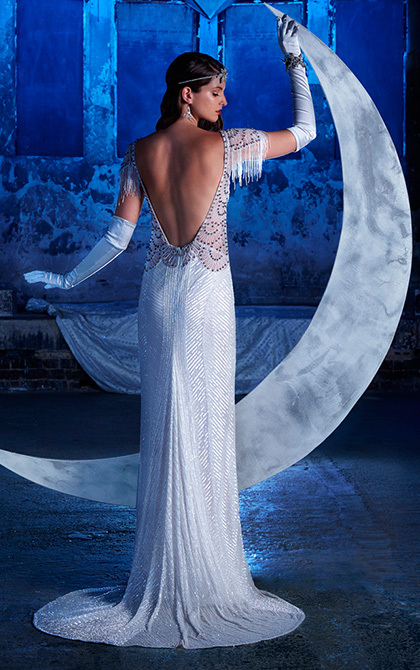 The Eliza Jane Howell range by Gill Harvey is a British designed range that was launched in 2012 & has won many awards including Best Bridal Designer & Best British Bridal Designer in the UK and British Wedding Awards. 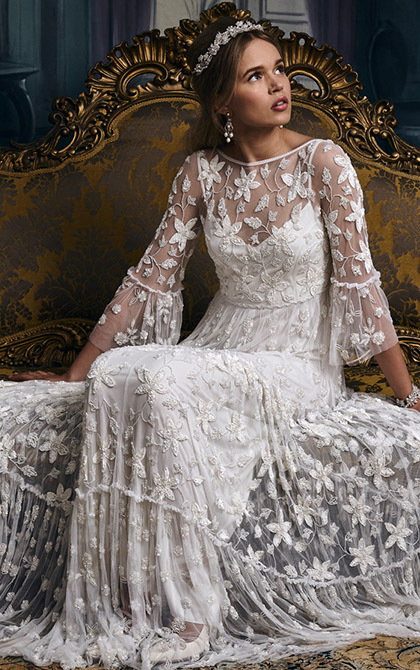 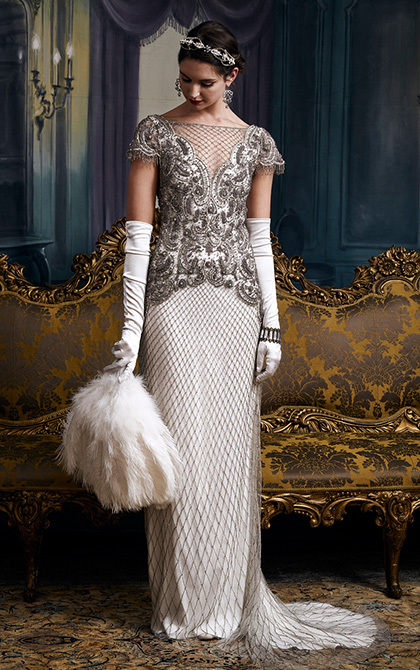 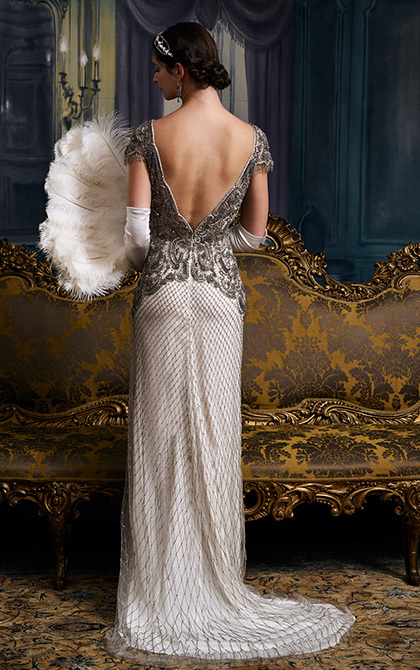 Eliza Jane Howell pieces are made individually with great attention to detail. 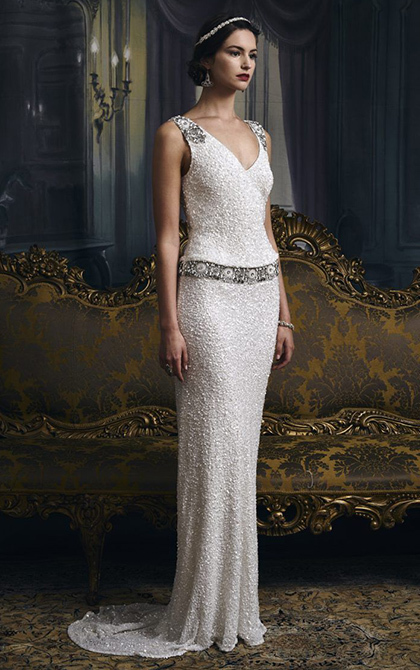 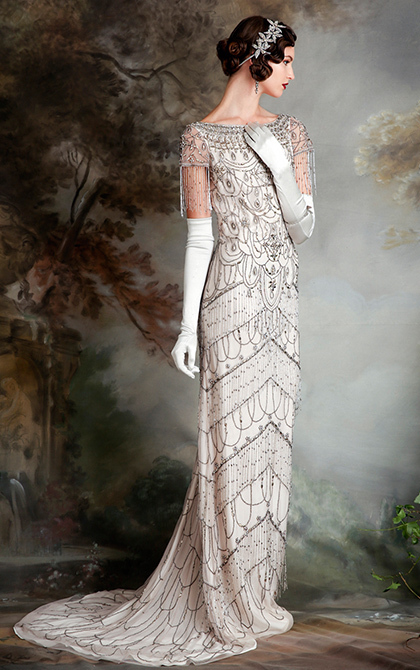 Using a blend of traditional & modern beading techniques, each gown is hand beaded to create a stunning heirloom piece. 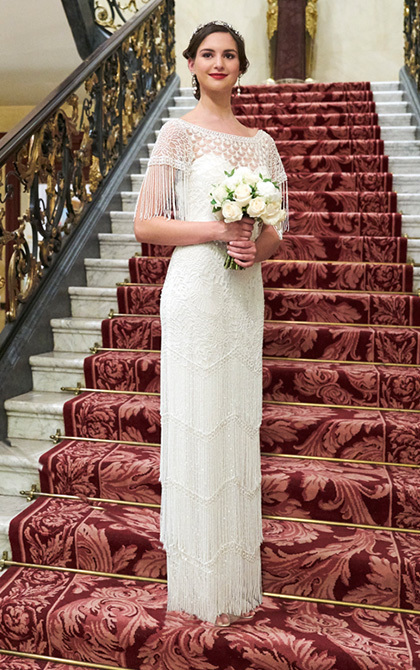 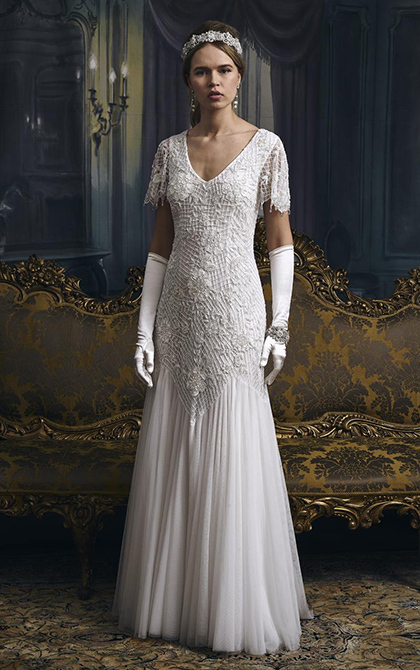 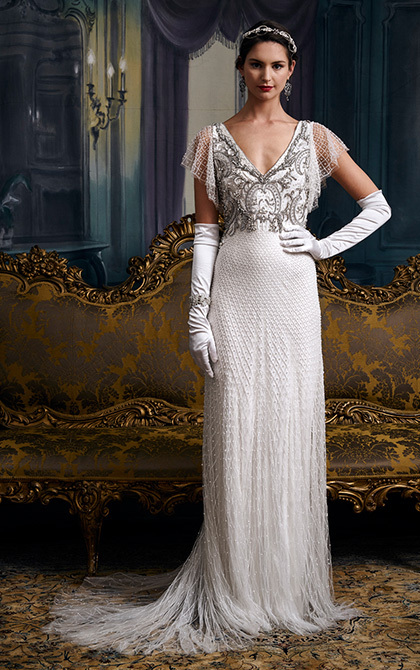 Perfect for brides looking for a dress which reflects the fashions of the various decades throughout the early to mid-part of the 20th century, the gowns feature decadent beading and flattering cuts in a selection of colours. 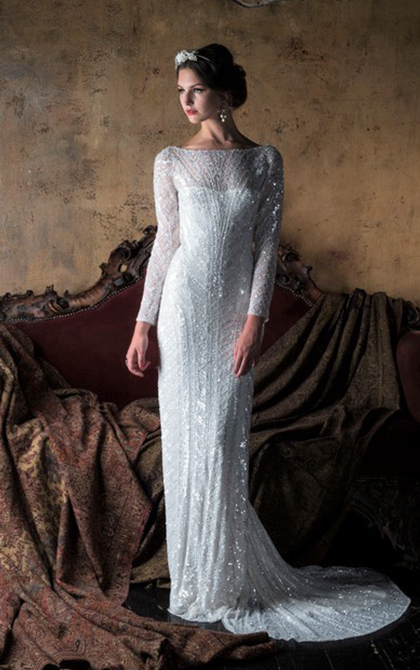 To view our collection of Eliza Jane Howell wedding dresses simply telephone our team on 01384 893656 to make an appointment, or us the Book Now button at the top of this page.